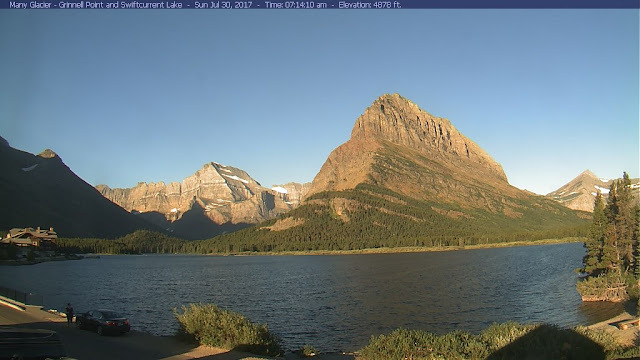 This beautiful Sunday Morning view at Many Glacier inside Glacier National Park is just one of the many reasons our Road Trip there is still a GO. Yes, record crowds are congesting Glacier. Yes, there could be hazy air from regional fires. Yes, the heat wave could break the all-time high temperatures ever recorded in Glacier. But, yes, we are definitely going there this week. We will check into the Saint Mary Campground Wednesday afternoon. However, we're turned lazy. We had planned to leave Sunday morning about 10-ish. But we're lazy and that means we're leaving Monday morning, probably pretty early, actually. And, if this lazy streak continues, we might even leave Tuesday. Who knows? Who cares? That's one of the many benefits of being retired. Other than the fact that we MUST check into Saint Mary campground Wednesday afternoon, we don't really have a schedule. Plus, if we shine off playing pickleball in Butte and Helena, Montana, then we really, truly don't have a schedule. It's just too nice a morning here in Idaho Falls to get all in a hurry and last minute frenzy to leave in 2.5 hours from now. Nope, ain't gonna happen. We're lazy and that's that. 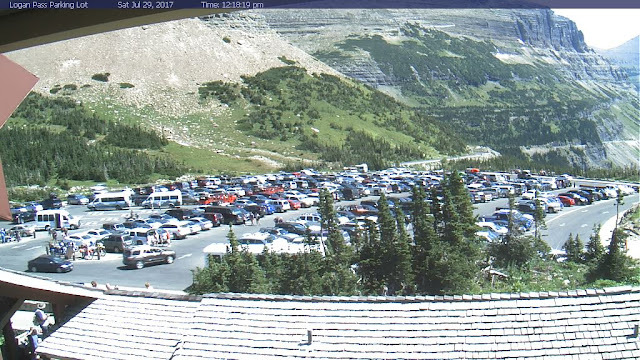 Speaking of record crowds, the photo above shows the Logan Pass parking lot shortly after noon Saturday, July 29. 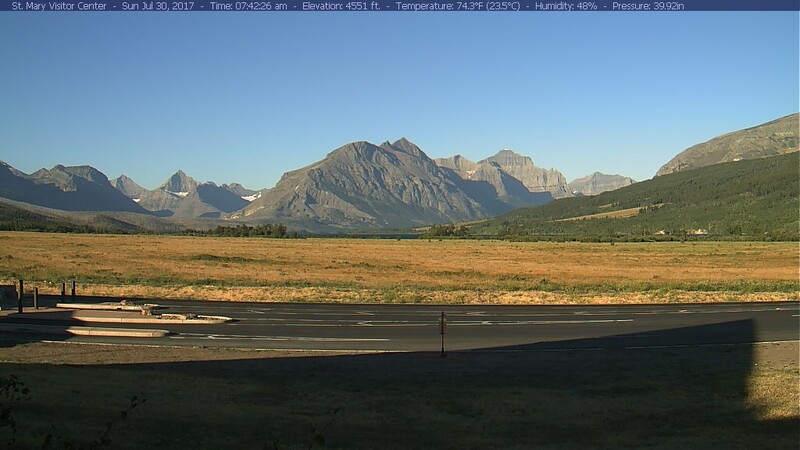 This is what we're facing for this Glacier Road Trip. We did a screen clip of the Glacier Twitter that's also attached to a separate post. Basically, it looks like all the popular spots inside the park were totally max'd out Saturday. Bear in mind, we actually had to book this trip back during the first week in February. I think I booked it on Susun's February 2nd birthday to be exact. 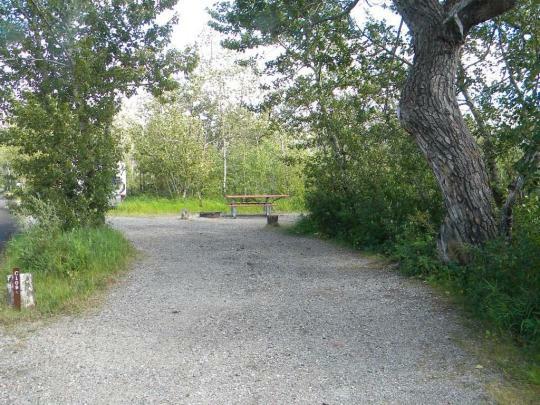 The Saint Mary campground was half reserved even six months ago. The entire 142-site campground is completely and totally full right now. Not even one night is available for any of those sites. And get this, it's completely booked full all the way into early September. And it's been full all summer long! So, if we hadn't booked out site six months ago, there would be no room at the inn, so to speak. We felt lucky to be able to find a site at Saint Mary with at least some partial shade. The vast majority of the sites there have nary a speck of shade. Little did we know six months ago how valuable shade would be during the first week in August! 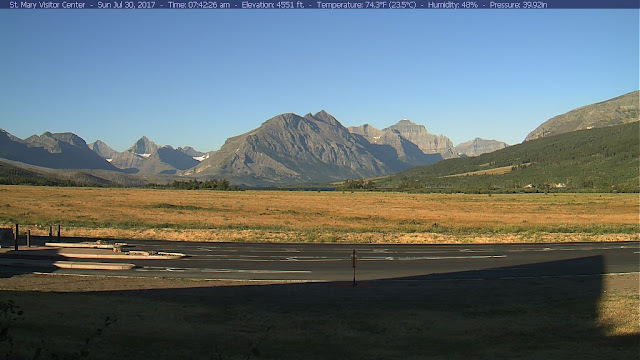 Here's the Sunday morning webcam view from Saint Mary Visitor Center looking west. Note that the early AM temp is already 74 degrees. Yep, it's gonna be a cooker for sure but we will make The Best of it.